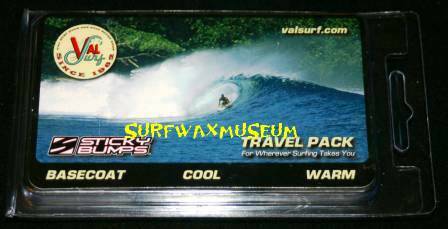 Val Surf Travel Pack. 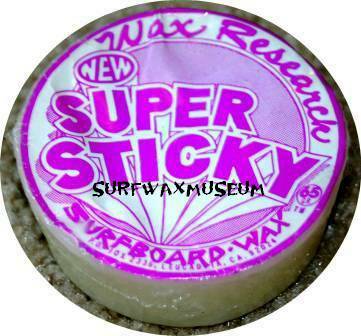 Done by Sticky Bumps. 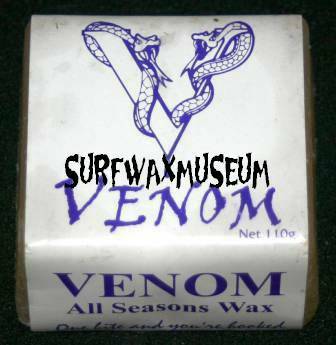 Venom White Label. I also have the green label. Australian. 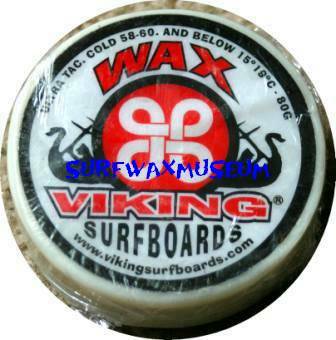 Viking Surfboards Wax. Got it off the internet. 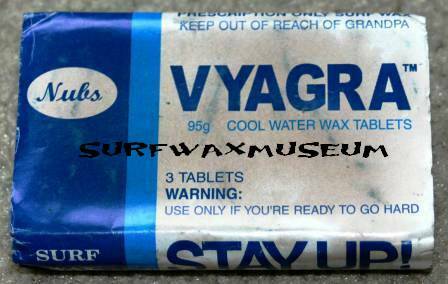 Vyagra. Duplicate photo. Keep it up. Check the label. Classic. 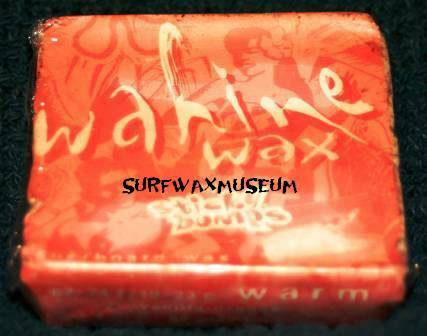 Wahine Wax by Sticky Bumps. 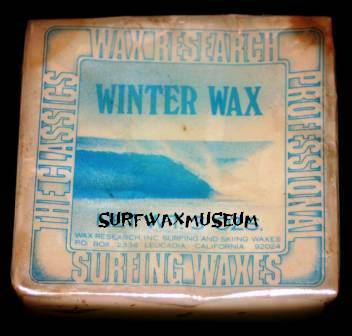 Another great wax by S Bumps and WR. 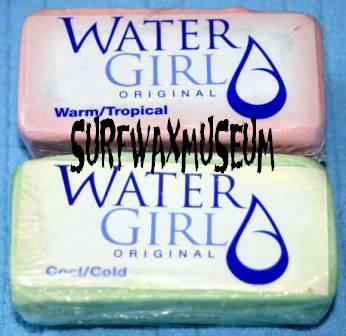 Water Girl. Not sure of the year or maker. Cool deal though if ya ask me. 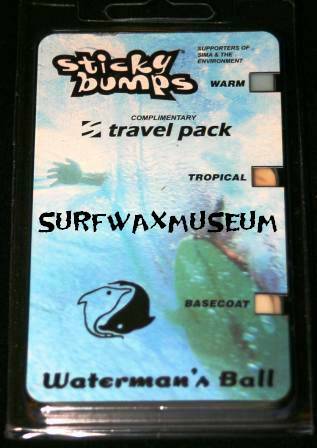 Watermans Ball Travel Pack. 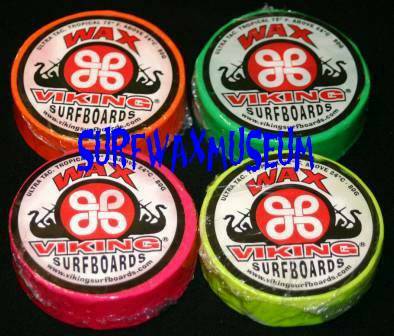 Done by Sticky Bumps. Not sure what it was for or from though. 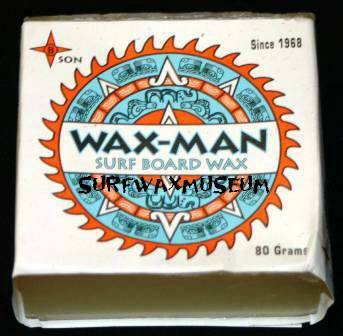 Wax Man. 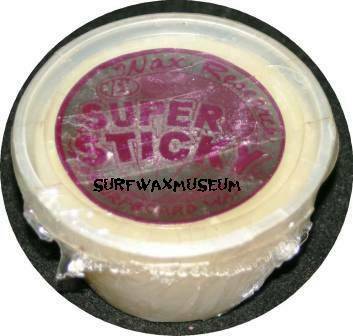 Okay truly, this is likely the best smelling wax I have. Very strong scent but very good. Works very well. I have some signed bars too. 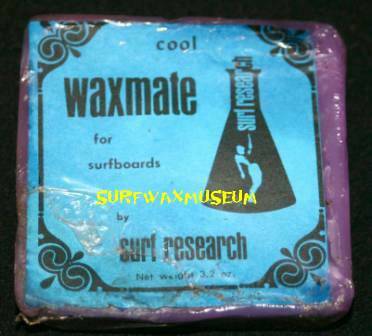 WaxMate by WR. 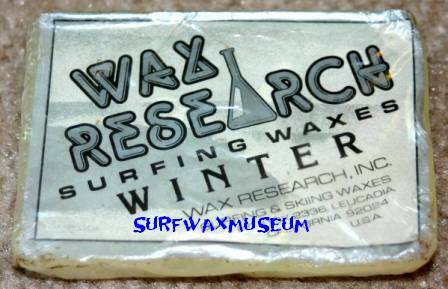 80's version of WaxMate by WR. Same exact formula, scent, and label. I only have 1 original from the 70's. 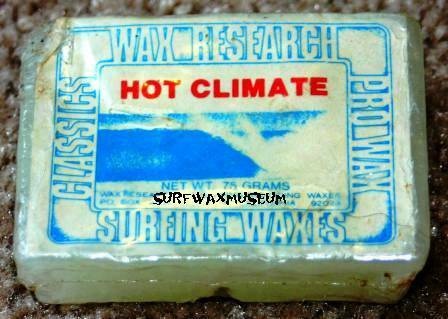 80's Wax Research (WR) Hot Climate bar. Classic as always. Another 80's version of a WR bar. And another. Yeah, from the 80's. And another. I think this was done in '83 or '84??? My research leads me to belive this was from 1976.